K.Millichamp and Sons has been established for over 50 years in Atherstone, Warwickshire. We provide general and specialised transport services for local and multinational companies. Warehousing services include full pallet storage, single pallet through to multi pallet, bulk storage, full racked and inventory service. We also offer manufacturing industry a service of raw material storage / handling and delivery into their plants as a just in time service, enabling the plants to operate more efficiently without the need for the production plant to carry all the stock. 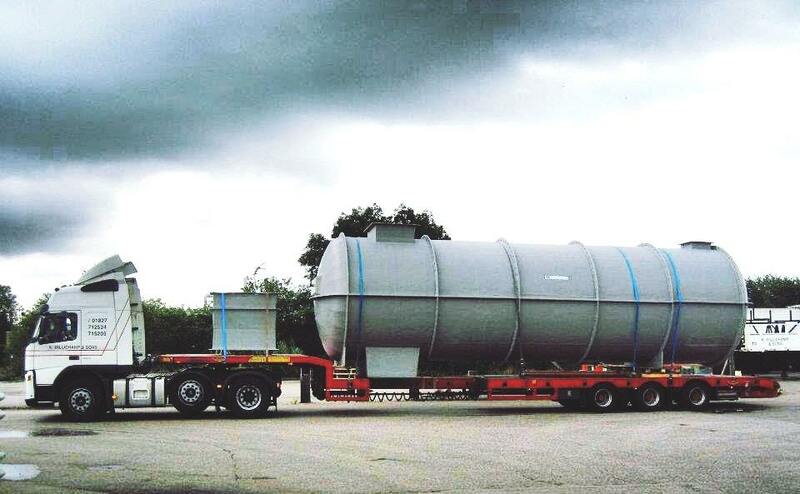 In addition to our 25 fleet of running trailers, we currently provide:-step frame trailers, upside down trailers, flat bed trailers, and 45 ft curtain/box tri axle (tail lift) trailers. Also available are secure storage trailers. 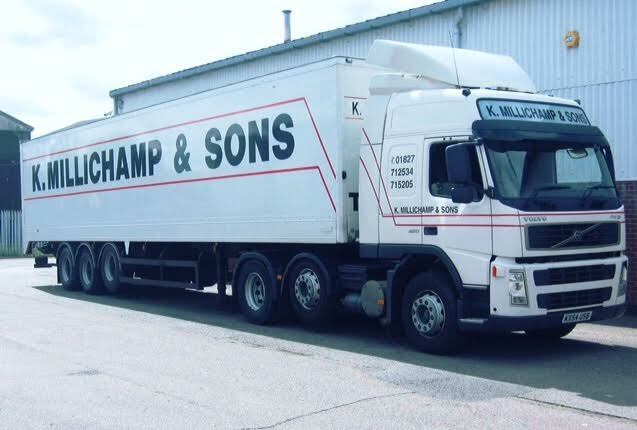 K Millichamp & Sons is proud of its transport fleet of tractors and trailers which enables us to provide the best service that we possible can within the haulage industry. We have been with some of our customers for over 20 years! Within the past 10 years we have been heavily involved with the movement of aggregate delivering pallets/bags to retail and trade throughout the UK. We have invested in several tri-axle curtain sided trailers and 44T tractor units which has enabled us to expand our range of services. 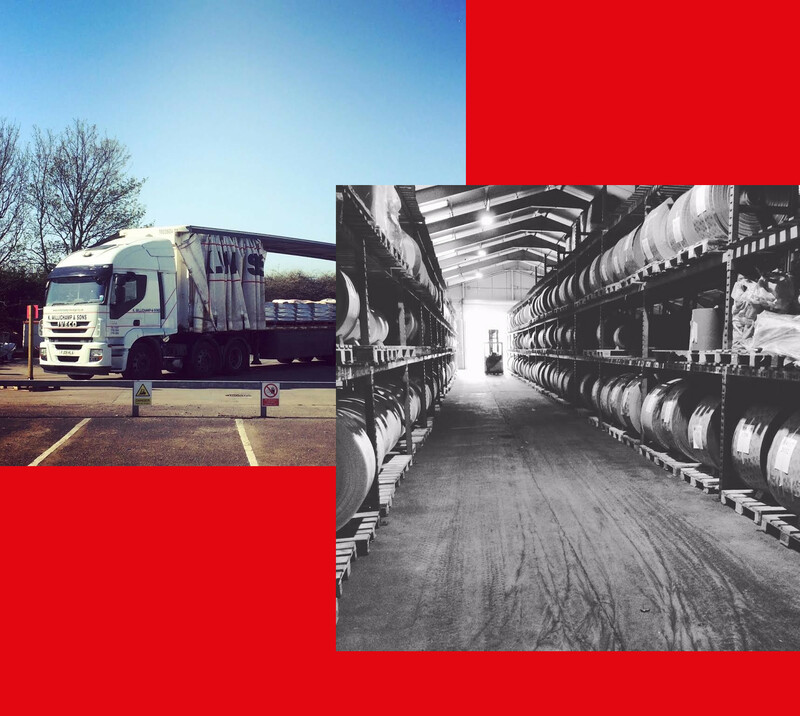 The growing variety of pallets in the warehouses has meant K Millichamp & Sons has expanded with several new fork trucks including: – Reach trucks, counter balance, gas trucks, roll and barrel Clamp attachments, pole attachments all being able to rotate and have side shift. For the off loading of containers or box trailers we have a height adjustable yard ramp for allowing full access into the trailers with a fork lift truck. 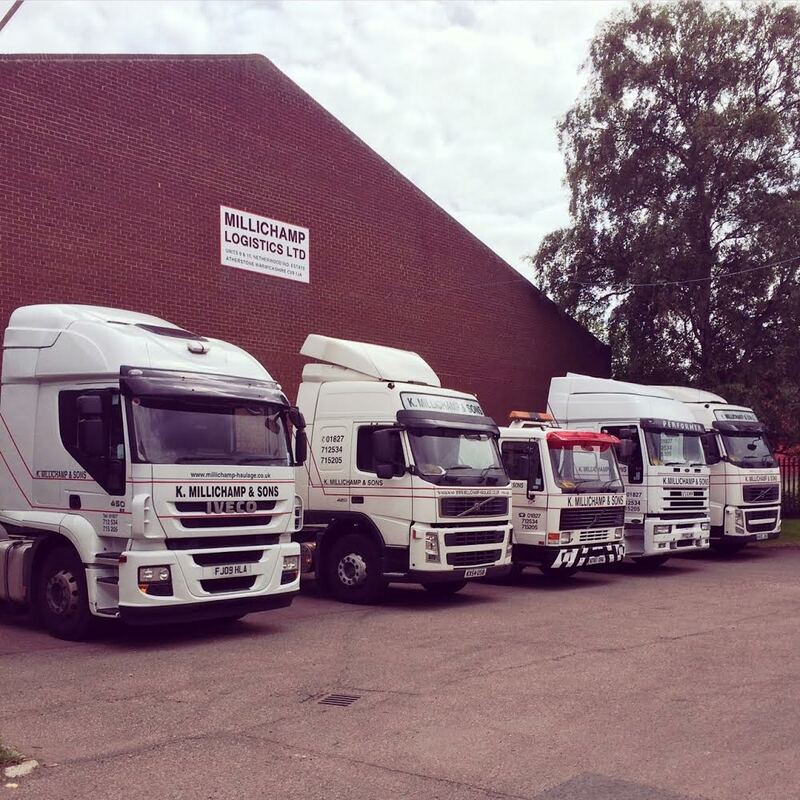 Being located in The Midlands (Warwickshire) this allows K Millichamp & Sons considerable access to the country’s major road links – The M6, M1, M42, M5, M40 and the A5 are all only a few miles away, Thus improving our ability to reach all destinations across the U.K.